Midnight Masquerade #2. 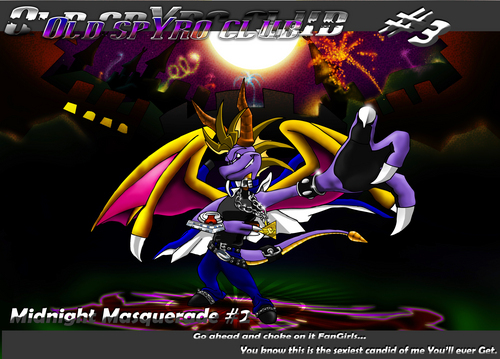 Um.....Well this is a late entry for the Old Spyro Contest on deviantArt. For meer information on this picture, go to. HD Wallpaper and background images in the Spyro The Dragon club tagged: old classic spyro the dragon yami yugi yu-gi-oh! anime hallloween.